Coldwell Banker will premiere a commercial about the program, called Home's Best Friend, during the Academy Awards. MADISON, NJ: Coldwell Banker Real Estate has kicked off an initiative with nonprofit Adopt-a-Pet.com to bring to life the message that dogs need homes too. The Homes for Dogs Project, which aims to find homes for 20,000 dogs across the country by the end of 2015, is launching alongside a commercial called Home’s Best Friend. The ad premiered online on Wednesday and will air on ABC during the 87th Academy Awards on February 22. 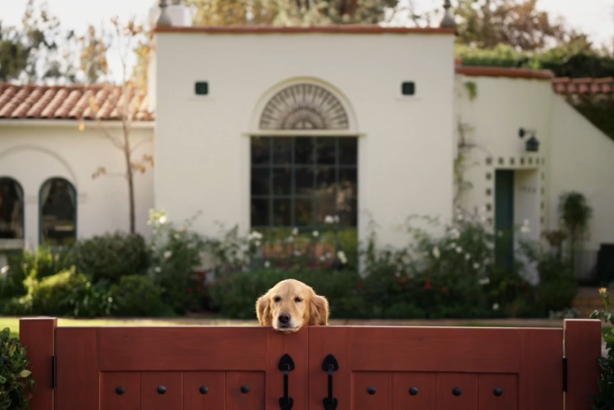 As part of the campaign, Coldwell Banker will create fun and educational content on topics such as preparing to bring a new dog home and selling a house with a dog, said CMO Sean Blankenship. The company will post stories, photos, and videos throughout the year on coldwellbanker.com/dogs and on its Blue Matter blog. Social media will play a major part in the initiative, with Coldwell Banker planning to leverage Facebook, Twitter, YouTube, and Instagram, said Blankenship. Adopt-a-Pet.com will also use its own social channels to promote content. CooperKatz, Coldwell Banker’s PR agency partner, will support communications. In addition to national outreach, grassroots and local engagement will be important to the effort, explained Blankenship. "Our brokers in a lot of regions have jumped on board with this campaign," he added. The company has already heard that some regions around the country are setting up local campaigns to help contribute to the adoption of dogs through Adopt-a-Pet.com, Blankenship said. Although no plans are in place yet to continue the program in 2016, Blankenship said it is a possibility depending on the success of it this year. Coldwell Banker has debuted commercials during awards season, including spots during the Grammys and Oscars, since 2013. Blankenship said the "luxury feel" of the audience for the Academy Awards aligns with the brand’s tone. The show is a "DVR-proof" event that is huge on social media, and Coldwell Banker has trended on Twitter for the last two years during the awards, he added.